SUPPORT HAS INCREASED for Sinn Féin and unaligned independent TDs, according to the latest opinion poll. The Behaviour and Attitudes poll carried out for the Sunday Times found Sinn Féin and independents both made gains of four points, up to 18% and 12% respectively. 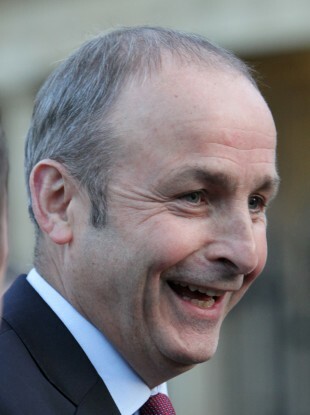 Fianna Fáil saw a drop of two points to 28%, but still remains the most popular party in the country. Fine Gael has dropped two points to 23%, while its former coalition partner Labour is up one point to 7%. The Independence Alliance has remained unchanged on 4%. The Anti-Austerity Alliance/People Before Profit is down one point to 4%, the Green Party is unchanged on 2%, the Social Democrats are down one point to 1% and the Workers’ Party is down two on 1%. The face-to-face poll was conducted with 911 voters from 4-14 September. The margin of error is 3.3%. Email “Support for Sinn Féin and independents up, but Fianna Fáil is most popular party ”. Feedback on “Support for Sinn Féin and independents up, but Fianna Fáil is most popular party ”.